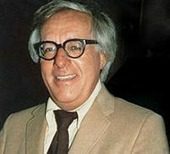 Ray Bradbury, author of Fahrenheit 451, Something Wicked This Way Comes, Death is a Lonely Business, Dandelion Wine, and The Martian Chronicles, has died at the age of 91. According to the San Francisco Chronicle, Bradbury’s daughter, Alexandra Bradbury, said her father died Tuesday night in Southern California. She did not provide further details. Bradbury had previously suffered a stroke and used a wheelchair for mobility. His career began in 1938 when he began publishing science fiction stories in fanzines. This first published work was “Hollerbochen’s Dilemma,” in the sci-fi magazine Imagination! He went on to gain such great fame that he has received a star on the Hollywood Walk of Fame, had a crater on the moon named after his book Dandelion Wine, and astroid named after him, 9766 Bradbury, in one numerous literary awards. In 2004 Pres. George W. Bush awarded Bradbury the National Medal of Arts. As of publication time, none of Bradbury’s books have jump into Amazon’s hourly top selling book list, ala Donna Summer or Whitney Houston style, but we will watch and let you know if it happens.